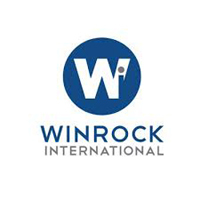 Winrock International is a nonprofit making organization that works worldwide to empower the disadvantaged, increase economic opportunities, and sustain natural resources. Winrock International is implementing PROSPER Umoja project which is focusing on eliminating child labor in tobacco growing areas. The PROSPER Umoja Project is funded by the ECLT Foundation. The project is recruiting one District Coordinator for Chunya and Songwe Districts. • Coordination of PROSPER Umoja program activities in Chunya and Son, Districts. • Performance monitoring and reporting of project activities. • Strengthening networking and coordination at district and local level for policy and resource maximization for child labor interventions. • Coordinate to Chunya and Songwe Districts . Government Officials that work in those areas education and livelihoods and identify areas of collaboration. • Representing PROSPER Umoja to the District meetings for sharing information concerning child lab. • Hold meetings with the DCPTS for the purpose of enhancing capacity of the DCPTs and whenever possible include other unforeseen /unplanned child protection activities. • Lobbying and advocating for mainstreaming and budgeting of child labor issues in district and village development plans and budgets. • Provide oversight and regular rranitoring of PROSPER Umoja activities. • Ensure preparation and timely submission of monthly Project reports to Community Outreach and MR E Coordinator of all activities implemented by Winrock International and partners. • Undergraduate Degree in Social Sciences preferably in Project Management, Sociology, Statistics, Community Development and Economics. • Master's Degree is an added advantage. At least 5 years working for a donor-funded project. • Knowledge in project management and monitoring and evaluation. • Ability to develop and encourage new and innovative solutions. • Build and maintain effective relationship with the learn and project beneficiaries. • Good communication skills both written and verbal in English and Kiswahili. Deadline for receiving applications is on Friday 13, July 2018, only the shortlisted applicants to be contacted.